What is a Maine Quit Claim Deed? 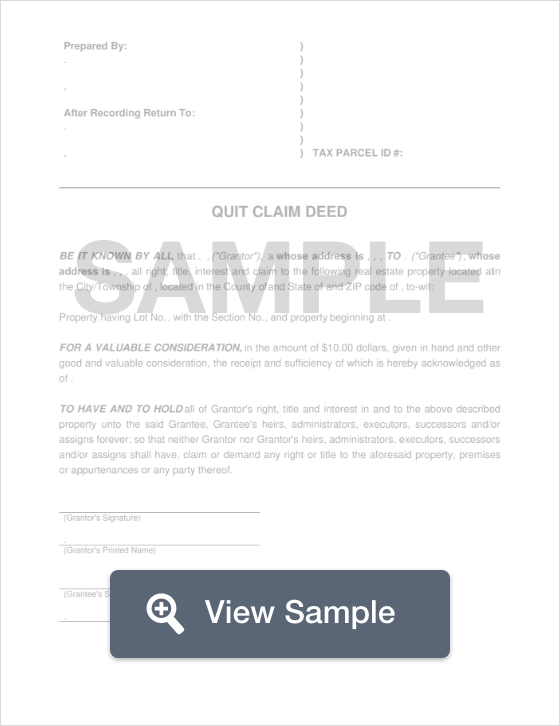 Maine Quit Claim Deed: What Is It? A quit claim deed in Maine is a legal document that transfers in the ownership interest of property from the current owner to the purchaser or person inheriting the property. This document conveys the seller's interest to a property to the buyer with a guarantee that the seller will not come back at a later date to claim any form of ownership interest. This type of transfer is generally used when a property is transferred between family members. Regardless, a title search should always be implemented when purchasing property to ensure that there are no major encumbrances on the title. Signing - According to state law, the Grantor (the individual or individuals selling the home) must sign a quit claim deed in the presence of a Notary Public or an officer of the court (Title 33, § 203). In addition to the quit claim deed being filed with the Registry of Deeds in the county that corresponds with the location of the property, a real estate transfer tax form must be filed and paid when the quit claim deed is filed. This can be done either online or via a physical form (§ 4641).